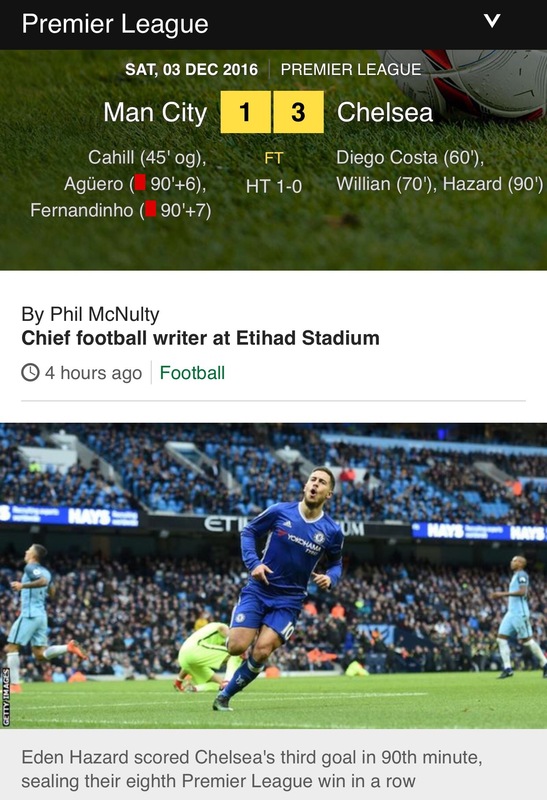 Chelsea consolidated their position at the top of the Premier League by beating Manchester City 3-1 at the Etihad. If ever evidence were needed that Chelsea are on a run of excellent form then this was it. Antonio Conti’s men have now won 8 games in a row, and moved past their other rivals to top the table a couple of weeks ago. They sit 4 points ahead of Man City, with Arsenal in second place 3 points behind, and Liverpool sitting in third on the same number of points as Man City. I didn’t see this game as I’m currently traveling in New Zealand, but to have two players sent off in injury time at the end of the match shows what a bitterly fought contest this was. It was Manchester City who started the season best, leaving all the other teams trailing in their wake. Chelsea, on the other hand, had an average start to the season. But, as we approach halfway in the season, they have hit a purple patch and currently look very hard to beat. There is still a long way to go, but it looks like Chelsea are playing with the kind of form which saw them win the title the season before last. So much has changed at Stamford Bridge since then, with the sacking of José Mourinho, that the 2014/15 season seems much longer ago! As I mentioned on Thursday, Wales were playing two matches over the last few days as part of their qualifying campaign for the 2018 World Cup. On Thursday we played Austria away, and yesterday (Sunday 9 October), we played Georgia at home. Both matches ended in draws, we drew 2-2 with Austria and 1-1 with Georgia. It is a mark of the raised expectations amongst Welsh fans that both results were disappointing. In Austria we were twice ahead, but after Austria levelled the game at 2-2 they looked the better team for much of the second half. The same was true against Georgia yesterday, after going 1-0 up through a Gareth Bale goal we were pegged back to 1-1 early in the second half, and after levelling the match it was Georgia who looked the better team. Wales drew 1-1 with Georgia yesterday evening, in a disappointing display which saw us hanging on in a second half dominated by Georgia. Upon reflection, an away draw to Austria is not a bad result, I think the disappointment at not winning was due to our being ahead twice and because of our fantastic run in Euro 2016. But, to not beat Georgia at home is definitely a poor result, and I expect the Welsh media to be full of inquisitions in the coming week as to why we performed so poorly. The Wales manager, Chris Coleman, will be disappointed with the way we failed to dominate Georgia. It is a match we very much should have won, and yet for the last 20 minutes we were hanging on to keep it to a draw. Our next match is home against Serbia on 12 November, and hopefully we will have Aaron Ramsey and Joe Allen back, as yesterday we certainly felt the absence of the two of them. Later tonight Wales will take on Austria in their second qualifying match for the 2018 World Cup. Kick off is at 19:45 BST (18:45 GMT). Building on the success of getting to the semi-finals of Euro 2016, Wales kicked off their qualifying campaign for the 2018 World Cup with an emphatic 4-0 home win against Moldova. We follow tonight’s away match against Austria with a home game on Sunday (9 October) against Georgia. Tonight Wales take on Austria in the 2nd qualifying match for the 2018 World Cup. 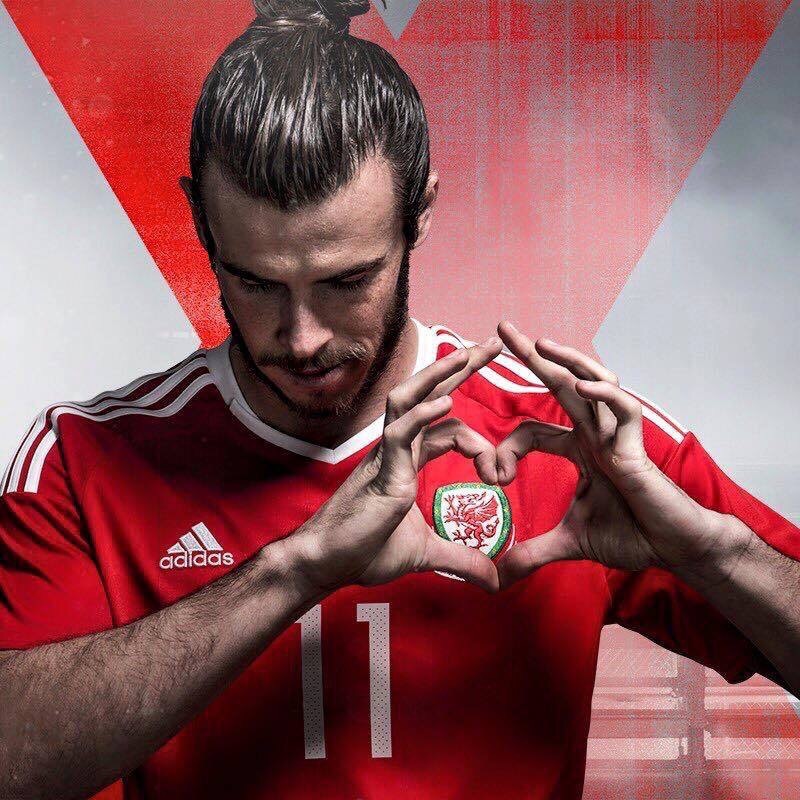 Wales have only qualified once before for the World Cup, in 1958. As you would expect, with such a successful run in the Euro 2016 competition, expectations are high that we can qualify again this time around. Unfortunately, Aaron Ramsey will be absent for these two upcoming games, and I have read that there is a dispute going on between Wales manager Chris Coleman and Ramsay’s Arsenal boss Arsene Wenger as to when he will be available for Wales. I hope that it will be soon, as on Saturday 12 November we will have our 4th qualifying match, a home game against Serbia. Ramsey was instrumental in our run to the semi-finals in Euro 2016, and we certainly felt his loss when he was barred from competing in the semi-final match against Portugal due to having picked up two yellow cards in previous matches. After last weekend’s matches we now know the line-up for the Euro 2016 semi-finals. This evening (Wednesday 6 July) at 20:00 BST (19:00 GMT) Wales play Portugal, then tomorrow evening (Thursday 7 July) the hosts France take on the World champions Germany. Wales’ match against Portugal is in Lyon, whilst the second semi-final is in Marseille. We in Wales are incredulous that we’ve got to the semi-finals, but we are also grateful to be facing Portugal and not France or Germany. Of the teams to reach the semi-finals, Portugal have been by far the least impressive. They qualified 3rd in their group with three drawn matches. Then, in the round of 16, they only beat Croatia 1-0 in extra time. In the quarter finals they beat Poland, but this time only on penalties with it being 1-1 after extra time. Of course, any team that has Cristiano Ronaldo in its ranks cannot be written off. With his brilliance he can turn a game around in a flash. But the contrast with Gareth Bale is interesting. Both play for Real Madrid, both are the stars of their teams, but there the similarities end. Bale is a team player, down to earth and a very popular member of the squad. The very opposite of a prima donna. Ronaldo is petulant, greedy and, one gets the impression, does not consider himself ‘one of the lads’. He is like a preening peacock; if he weren’t so brilliant he would surely be universally disliked. Wales are, of course, riding on a wave of euphoria. The team will be bursting with confidence after our thrilling 3-1 win against Belgium on Friday evening. But, I am also confident that we will not take Portugal for granted. Chris Coleman is far too wily a coach to allow his team to do that. We will be missing midfielder Aaron Ramsey and defender Ben Davies, both suspended after picking up second yellow cards in the match against Belgium. But, we have such a structure and game plan, which the team all believe in, that I am sure their replacements will step up admirably to to the high standard Ramsey and Davies have set. We are in the semi-finals!!! What an amazing match! We beat Belgium 3-1, and now we are in the semi-finals where we will take on Portugal. It is like being in a dream. This is the furthest Wales have got in an international football competition. It is the first time we have been in one since the 1958 World Cup, where Brazil knocked us out in the Quarter Finals. This time we have gone one step further, and Portugal are eminently beatable.